On October 30, 1922, the Cuban Trading Schooner Juana Mercedes embarked on a journey that would lead her into treachery, piracy and multiple murders. 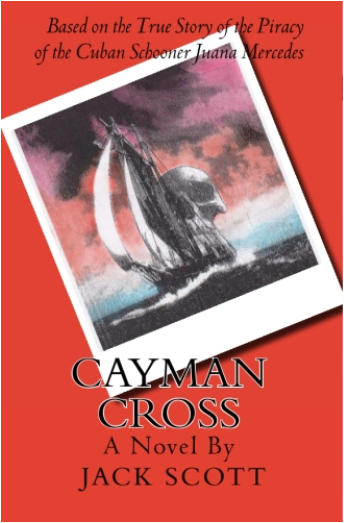 Grand Cayman: Cayman Cross is now available at Books and Books, 45 Market Street (Caymana Bay), George Town (345-640-2665). Cayman Brac: Cayman Cross is exclusively available at The Marketplace and at the Brac Reef Gift Shop. at the Village Square Market and the Little Cayman Beach Resort Gift Shop.